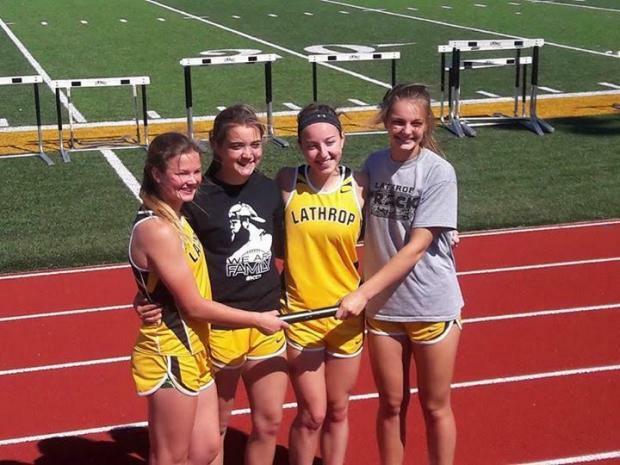 Lathrop girls are peaking at the right time. At districts, they ran, threw, and jumped their way to nine season's best performances. They look strong and balanced heading into sectionals. In the relays, they look especially strong and could come away with a number of state medals in those events. Often teams that have this type of squad can make noise at the state championship. Last year finished strong with a third place finish and one of the four coveted state trophies. Lathrop looks to repeat their top four this season as they advance to the next round. 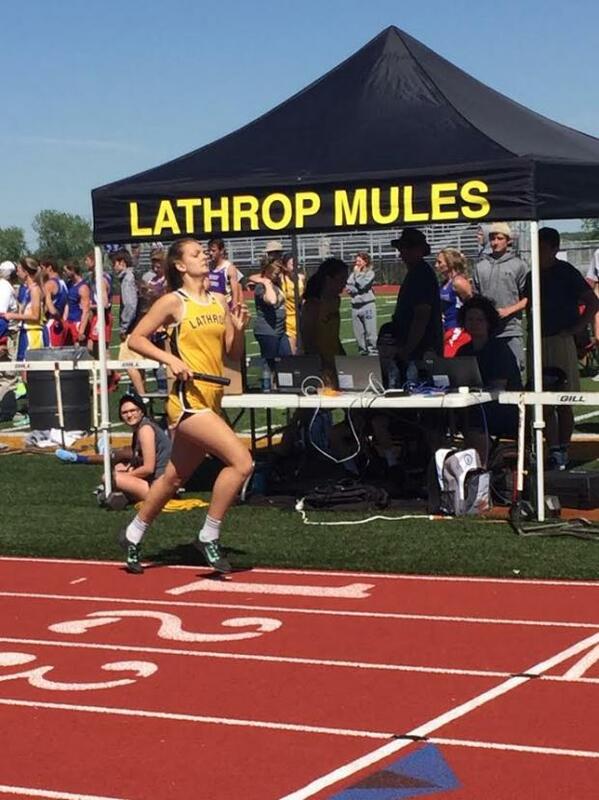 Mo.milesplit: What is the most satisfying part of your big win? Coach Steve Vonderfecht: We just get excited when someone really rises to the occasion and gets a huge PR or someone that really fights to gain that extra point. Our throwers had a great day in the disc and javelin, and we had some people fill in on a couple relays due to some injuries that really ran well. Plus we were hosting the meet, so one of the big things that was satisfying was that the timing system worked all day! We knew it would be close with Lafayette County, they really have some outstanding girls. We scored it out and had them winning by 5 or 6 before the meet, so when it's that close, in order to win, you are going to need some people to something special and stay away from any mistakes. We thought the girls really rose to the occasion and did what they needed to do to win. What has made your team special this season? It's been a season where we've had to overcome a lot of injuries, and the girls have still found a way to win the conference meet by 3.5 points and the district meet by 9 points. It's taken a whole team to do it this year too. We don't have that one girl that can go out and get 35 points on her own, but we have a bunch of girls that are pretty good and collectively, they are a strong team. If you had to pick one highlight from the meet what would it have been? Honestly, I really got excited when our two-miler got 8th. A girl made a move on her at the 200m mark, and she fought her off. Most people probably didn't even notice it, but at the time we were tied with Lafayette County and we knew that every point mattered. And what coach doesn't like to see their kids fight? What are your remaining goals moving forward? We just want to continue to compete well. At sectionals, we hope everyone can get through to state, and we hope at state everyone can run/throw a PR. How do you think things will line up for the state championship? State is so hard to predict. Last year our Day 1 was not as good as we wanted, so we weren't even thinking about a team trophy on Day 2. And then we scored twenty-three points in the last 15 minutes of the meet with the 4x4, shot put, and pole vault that were all going on at the same time, and it put us into 3rd place. That's how the state meet can go. We try not to get too wrapped up in the team score. We just want the girls to go out and do their best. Getting on the podium is a big deal, and we hope as many girls get to experience that as possible. We just want to go down and run/ throw well. The points will take care of themselves, and whatever happens, we are very proud of what this team has accomplished this year.